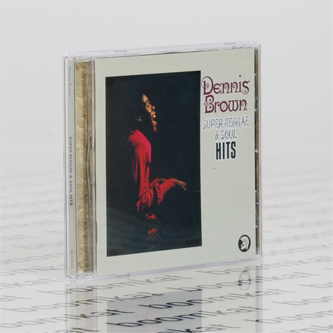 *Reissue of the classic 1972 album with 7 bonus tracks* "Recorded when Dennis Brown was just 15, this early album has an easy charm that spotlights Brown’s nascent songwriting and his trademark smooth, unhurried vocal style. The original album included a classic Brown original, ‘Concentration’, which opened the set, as well as a bouncing cover of The Rays’ ‘Silhouettes’ and covers of songs like Jimmy Webb’s ‘Wichita Lineman’ and a near definitive version of Van McCoy’s ‘Let Me Down Easy’, all filled out with superb and soulful backing tracks.The reissue is the entire original album with an additional seven bonus tracks consisting of some of those backing tracks with the vocals removed, some dub variations and the intriguing ‘Dock Of The Bay’ by Big Youth, which features Youth’s restructuring of the Otis Redding hit over the rhythm Derrick Harriott fashioned for Brown’s version of ‘Silhouettes’. Brown went on to work with countless producers and had many big Jamaican hits but he was never quite as innocent sounding as he was on these tracks, especially with Harriott’s production giving the music a timeless insularity."